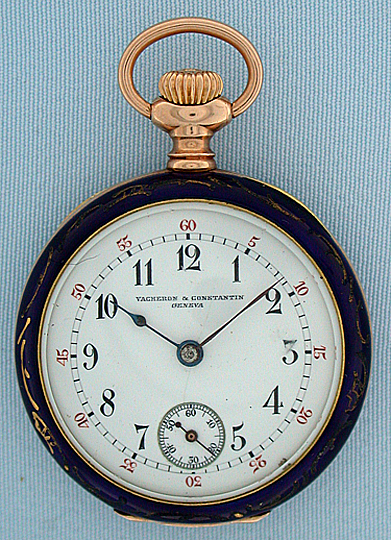 Vacheron & Constantin 14K gold and painted enamel antique ladies pendant watch circa 1907. 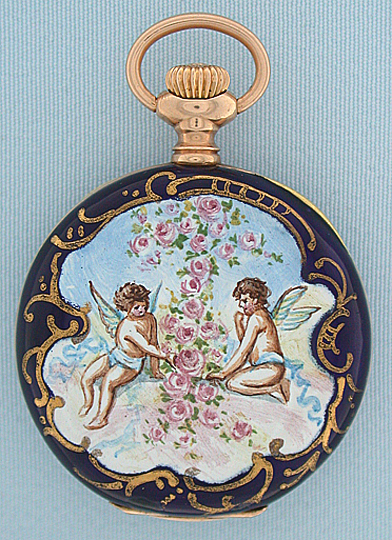 The case in blue enamel with gold decorations with 2 minor chips near the hinge, and some loss to the gold decoration, the back centered with a painting of two cherubs and flowers. White enamel dial with red and black numerals, blued steel hands, and one long hairline. 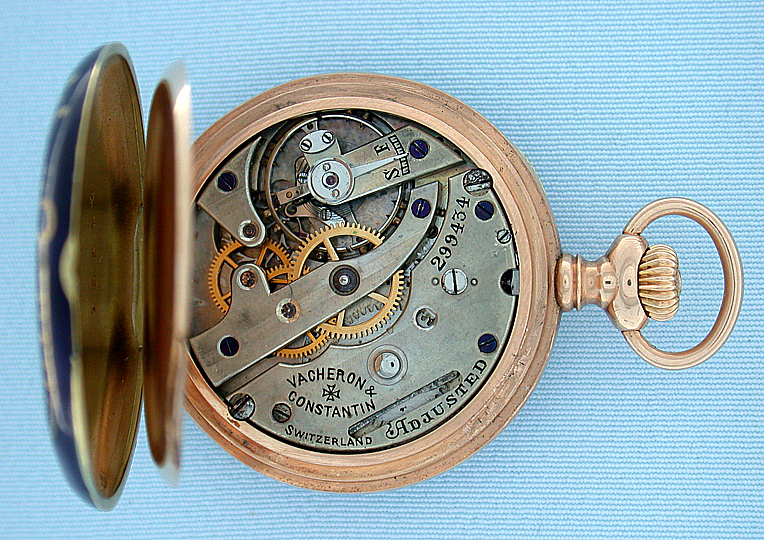 Nickel 16 jewel movement with wolf's tooth winding. Charming.